Pawame Chairman Alexandre Allegue, and CEO Maurice Parets. UAE-headquartered solar energy startup Pawame has successfully closed a US$543,000 debt crowdfunding round through Trine, a Sweden-based solar energy crowd investment entity. The investment will be used to finance equipment and inventory, which is expected to accelerate expansion. 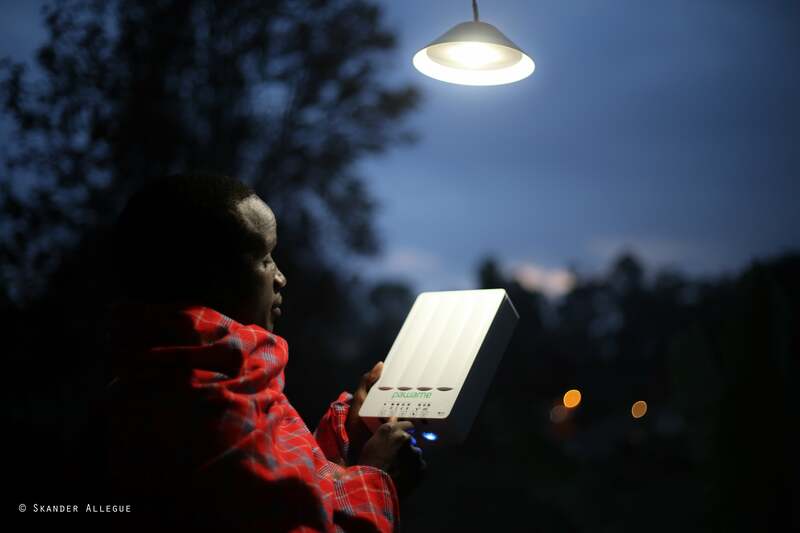 Pawame has its operations in Kenya, and is an off-grid home solar company that aims “to electrify the 150 million households (70% of the population) in sub-Saharan Africa that don’t have access to grid power.” With its business model of providing pay-as-you-go solar-powered home systems to remote areas on a micro-finance basis, Pawame says the funding will boost their commitment to create impact in the sub-Saharan African region. As for the company’s decision to opt for crowdfunding as a mode of raising debt, Pawame CEO Maurice Parets notes that early-stage startups don’t really have a lot of avenues when it comes to debt financing, especially in the sector in which they operate. “Trine was a perfect fit not just because they would work with us, but because they specialize in inventory financing for energy access companies, and because they were flexible and willing to structure their product around our specific needs,” he says. This is also not the first time that the energy company has sought the support of the crowdfunding route. “While in our first campaign last year we raised our target of €150,000 in about a month, in our most recent campaign we just raised our target of €215,000 in less than that, from 529 investors,” says Parets. Maurice Parets, CEO of Pawame. Image credit: Pawame. The company seems to be on a fundraising roll as its current debt finance follows a $2 million investment that the company raised through a traditional funding round, from friends, family, angels and undisclosed high net worth individuals with the largest external shareholder being “a close group of prominent Saudi and UAE businessmen and energy executives with deep roots in the Gulf region.” Speaking about their previous equity investment round in March, Parets had hinted that over the past six months, Pawame had been working on securing significant amounts of innovative debt to finance their working capital- mainly for inventory and consumer financing. “As a working capital-intensive business, such non-dilutive capital is critical,” he said. “We’re in late-stage negotiations for about $1.3 million in new debt commitments, which will more than meet our needs for the next year." While the co-founders (chairman Alexandre Allegue, CTO Majd Chaaya, and COO Nick Sparks) came together in Kenya around March 2016 to kick start operations, by the end of 2017, Pawame had sold 4,000 solar home systems in western and north western Kenya, and Parets joined the enterprise in March 2017. Currently operating only in Kenya and maintaining their focus there, Pawame sees all of sub-Saharan Africa as their addressable market, and plans to expand into to “1-2 new markets” in 2019. “To date we have reached over 4,000 households in Kenya, profoundly changing the lives of over 20,000 people,” says Parets. “Demand is not a problem; until recently our main growth bottleneck had been securing the capital to invest in new inventory,” he adds- which is clearly not an issue for the enterprise anymore considering their recent successive financial boosts.